The International Tuning Academy (Tuning Academy, in short) as part of its mission to serve as an international meeting point for innovation and research in Higher Education has established the Tuning Journal for Higher Education (TJHE) (ISSN 2340-8170; e-ISSN 2386-3137). The Journal is an Open Access publication that facilitates the individual and collaborative efforts of hundreds of international researchers who are working to develop innovative and sustainable higher education around the world. 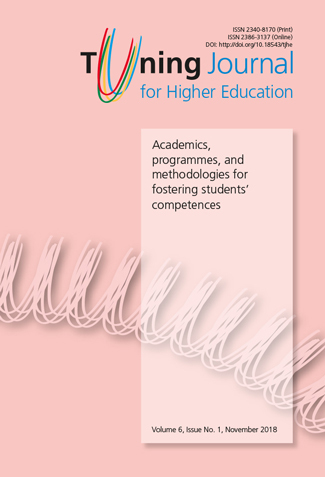 The Journal concentrates on the development of degree programmes and the challenges of their recognition, relevance and quality; as well as on teaching, learning and assessment strategies based on a student-centred approach. As of 9 September 2018, Tuning Journal for Higher Education was accepted for inclusion in SCOPUS.